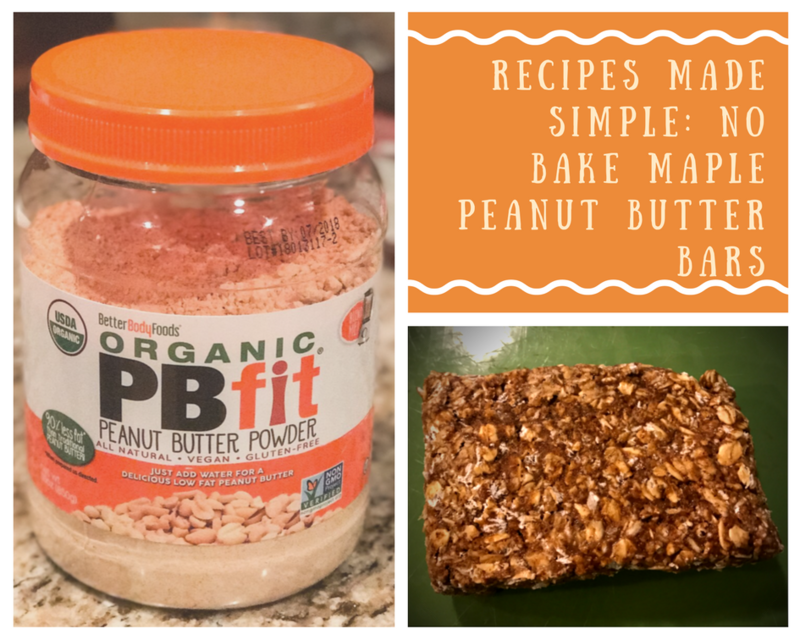 Using PBfit or PB2, is a great way to add the delicious peanut butter flavor to recipes without adding fat. These No Bake Maple Peanut Butter Oatmeal Bars, are a great source of protein and complex carbohydrates, and low in fat. This is a quick and easy grab and go breakfast meal prep for the week. Just make a batch on Sunday and your have breakfast for a week. I use Sugar-Free Maple Syrup to keep the added sugar low for this recipe. But you can use your favorite maple syrup if you’re not worried about the sugar. MusclePharm Combat Powder, Cookies ‘N’ Cream, is perfect for these Bars. It adds a generous portion of quality whey protein to recipe, but you can use any protein that you want. I would recommend using either a Cookies and Cream, Vanilla, or peanut butter flavored protein. Add 1 cup of almond milk and mix together. Cover and put the bowl in the refrigerator for at least 2 hours. After the 2 hours divide into 5 even bars. After I form the bars, I wrap them in parchment paper and store in the refrigerator.